Golden Brown Coffee offers the best quality products to enrich your coffee tasting experience. To know more visit goldenbrowncoffee.com.Official Sole distributor in Myanmar for well established coffee brand like Catunambu coffee, Eureka, Gaggia, Gene Cafe, Nemox, Nivona, Saeco and Yama Glass. These brand are selected for its long history of reliability and dedication to their trade. We also distribute our own house blend of roasted coffee sourced from various part of Myanmar. Our roaster makes sure the coffee beans are roasted to perfection. 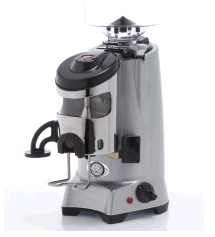 Other than our professional range of equipment we also distribute home use coffee machines, grinders and roasters so that every coffee enthusiast can experience the joy of making coffee. We also help the customers find the most suitable product befitting them. From restaurants and hotels to your home, we hope to give you nothing but the best from Golden Brown Coffee. Golden Brown Coffee is set on offering the highest quality products, the best prices, and the best customer service, period. These values are the very foundation Golden Brown Coffee is built on and that foundation rests entirely upon the shoulders of our team who are constantly looking to improve our customers’ experience. They are a hardworking group of coffee experts that truly provide an authentic connection and appreciation for the baristas, home brewers and cafe owners that share their passion for the craft. From restaurants and hotels to your home, Golden Brown Coffee hopes to give you nothing but the best. Catunambu exists since more than a hundred years in the coffee market.It is a 100% Andalusian Company that from its factory in Seville (Spain) works to obtain the best coffee: a coffee to delight the most discerning palate.Since Juan Ferrer created Catunambu brand in 1897, our goal has been to keep our best secret: quality, aroma and freshness of our coffees. All these years we have given our best to make Catunambu the coffee of Andalusia. As a result, we have expanded our company opening new offices in Cadiz, Huelva and Malaga.Catunambú started as a small shop at O'Donnell Street (Seville), which later became a bistro. Since then, scores of establishments became a Catunambu selling point. In the end these turned out to make up a high renowned network of coffee shops throughout Spain. Catunambu brand name was associated to quality coffee. Today, more than 700 establishments already have our products. Clean your machine for better tasting coffee! 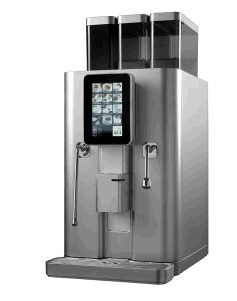 A coffee machine that is clean of leftover coffee residue and oils will consistently brew better tasting coffee! Machine cleaning and maintenance is sometimes overlooked, but the difference in taste between a cleaned machine and a dirty one is obvious. 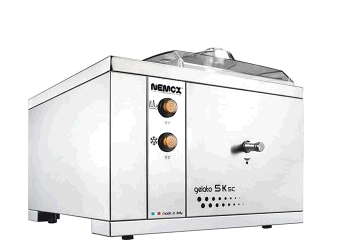 Regular cleaning and descaling will also extend the life of your coffee brewer as it will prevent mineral and limescale build up which can cause the machine to break down or function at a sub-optimal level. 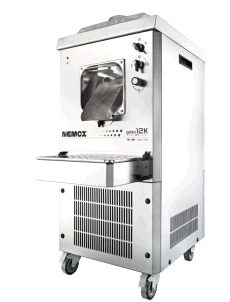 Clean your machine for better tasting coffee!Espresso machine aren't the only equipment that is covered with coffee. Oily residue from coffee beans (the darker-roasted the oiler and slimier) and fractured debris from flying beans can get lodged, or coat coffee oils or particulate matter in all kinds of places on your grinder. Dot not over to maintain this important piece of equipment which eventually become the weak link in your path to a perfect cupof coffee. commercial automatic espresso machine, coffee roaster machine, espresso coffee grinders, office coffee machine, automatic cappuccino machines, espresso home machines, gaggia espresso machine, gelato making machines, home coffee grinders.Our speciality coffee comes from 100 % Arabica variety of coffee plants that have been grown in an accurately defined area, and which meet the highest standards for green coffee and for its roasting, storage and brewing. There are no chemical used in any part of the process from growing to the roasted beans. The coffee plant is regularly watered with uncontaminated natural spring water. Our Famers hand picks the cherries at their peak ripeness. This requires multiple passes through the fields and increases the cost of harvesting the crop, but the resulting cup of coffee is noticeably better tasting because of it. The processed beans are further hand sorted to select the best beans. Our roasting process involves careful blending of the right green beans to bring out the best that the selected beans have to offer during the roasting process. See and taste the difference in the coffee beans yourself. Use it to make a difference every cup of coffee that you drink.